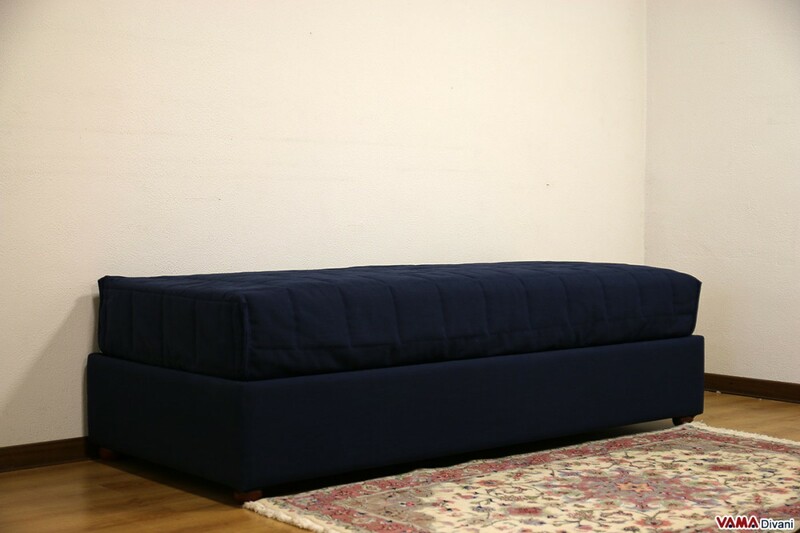 Upholstered in fabric and characterised by a nice style, very easy to match, the Sommier bed can be realised with many different types of custom details including colours and type of feet. 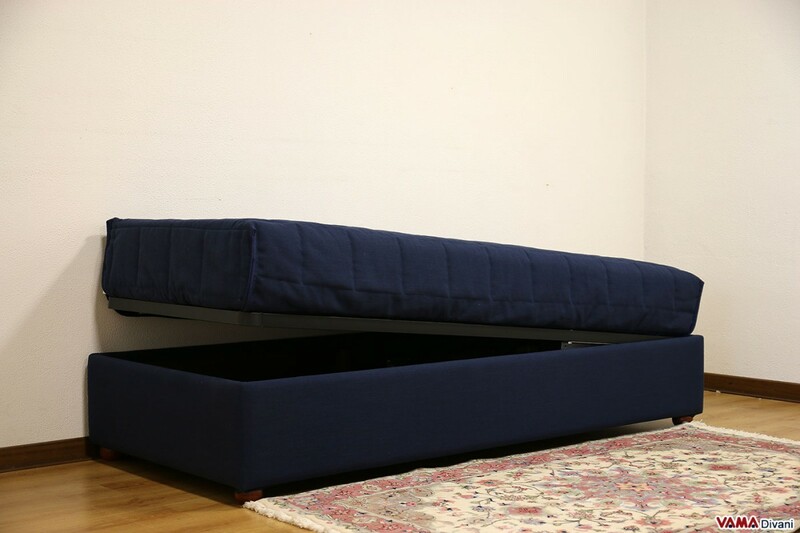 The single Sommier bed is a sober and simple model, but it can create a beautiful and stylish effect in many different contexts, from the most traditional bedroom to the most modern one. 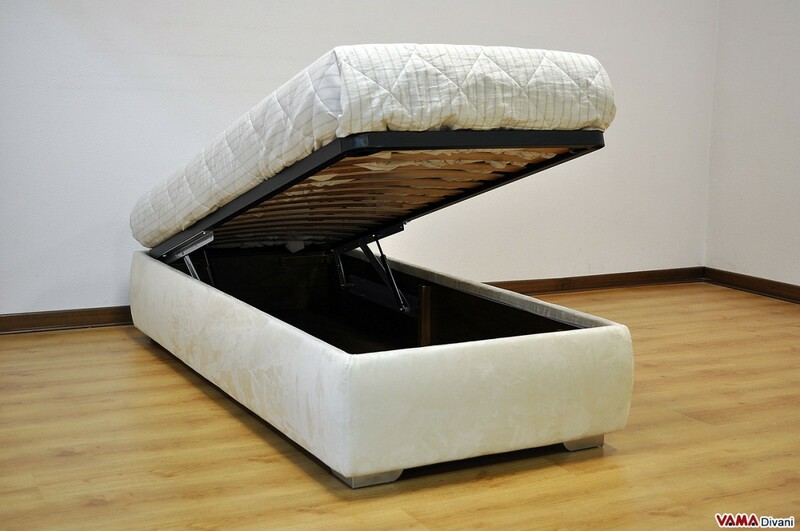 The Sommier bed equipped with pistons, as it is known, provides the opportunity to turn the mattress with a simple gesture, allowing you to use all the compartment that creates the base of the bed as a large dresser, a key feature of our storage beds. 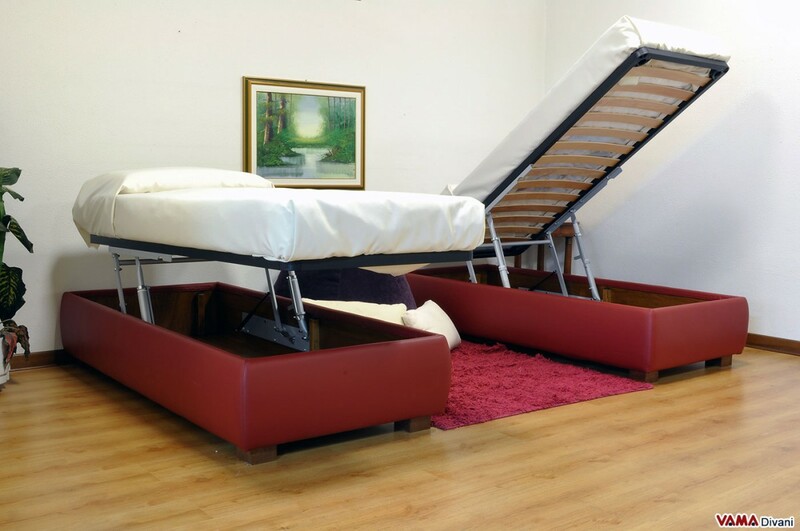 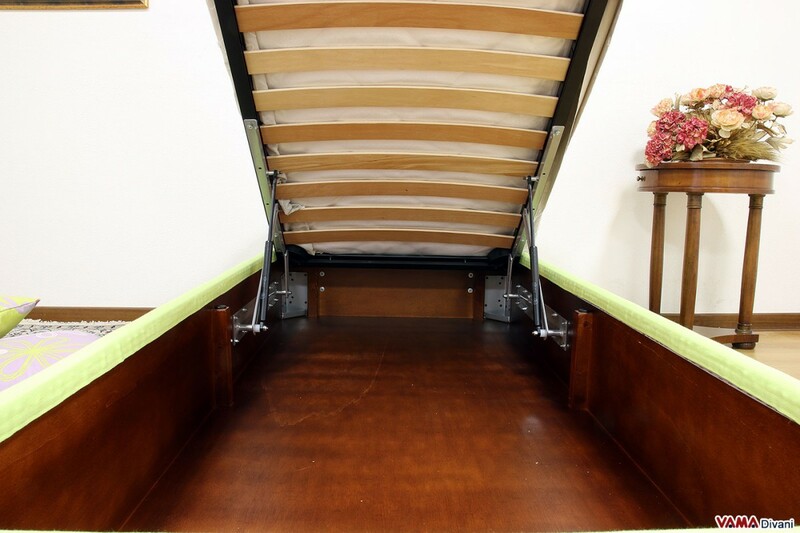 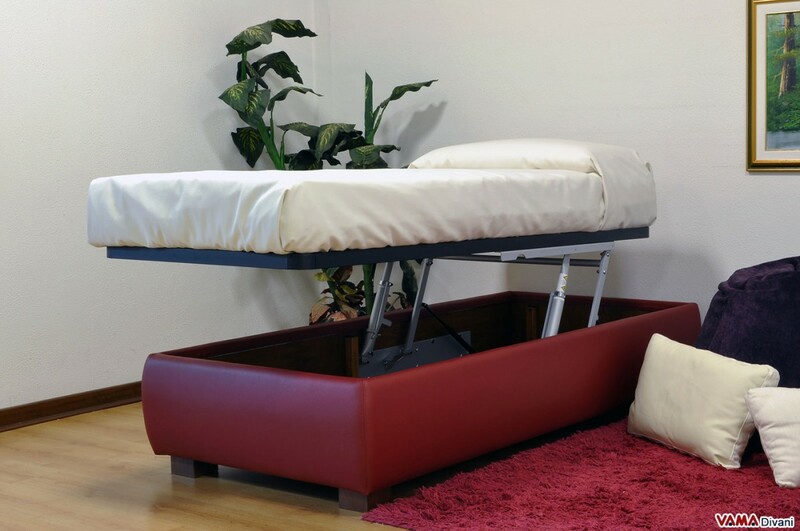 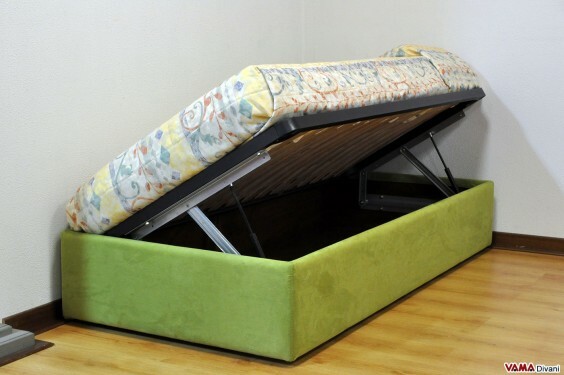 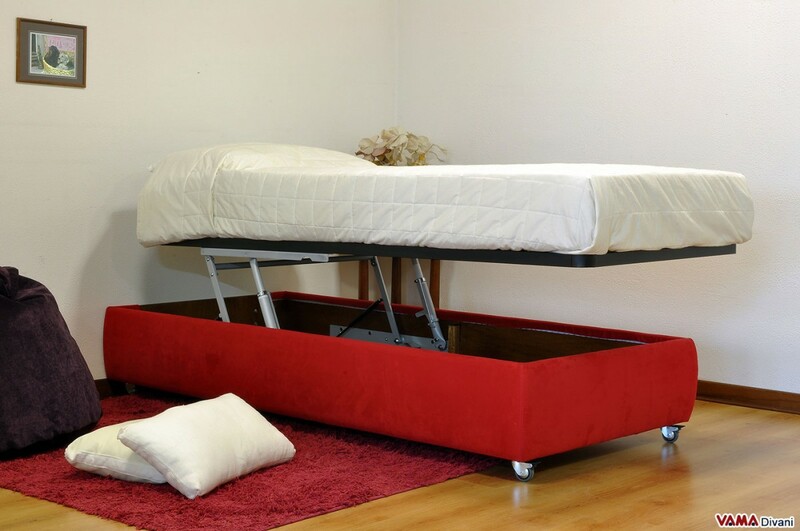 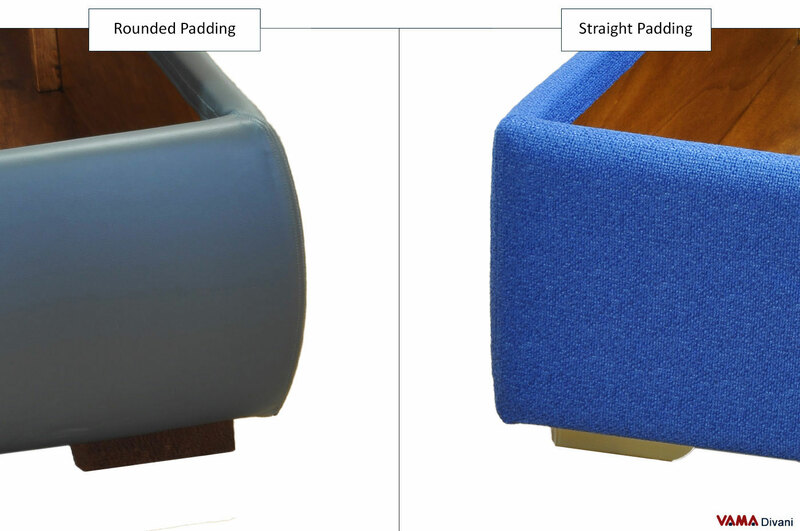 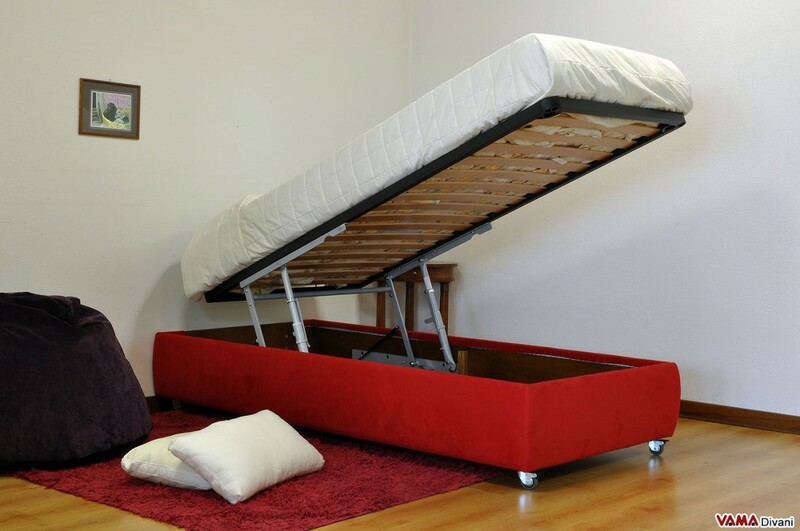 The single Sommier bed with storage box can even be realised with side opening, for customers with special needs or problems of space as in the bedrooms with built-in bridge wardrobe. 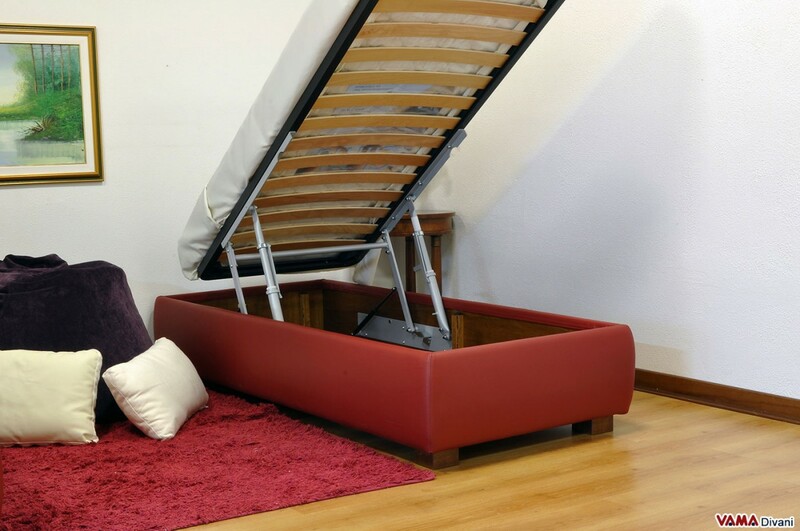 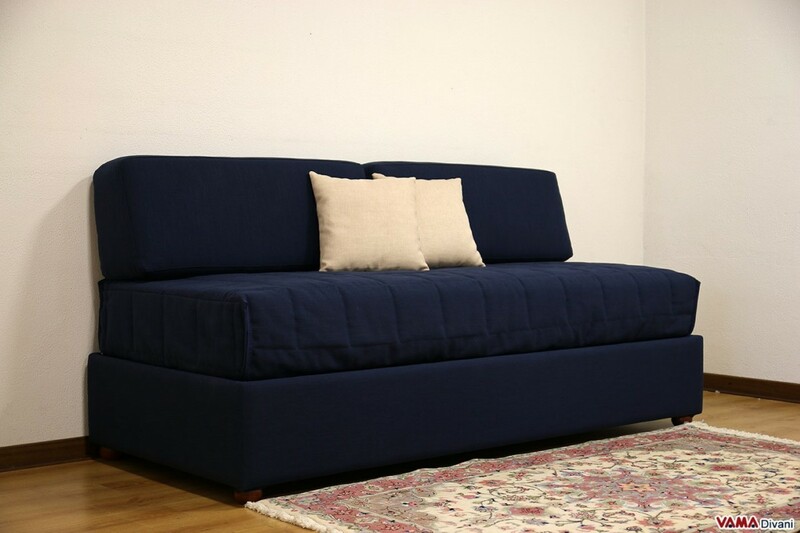 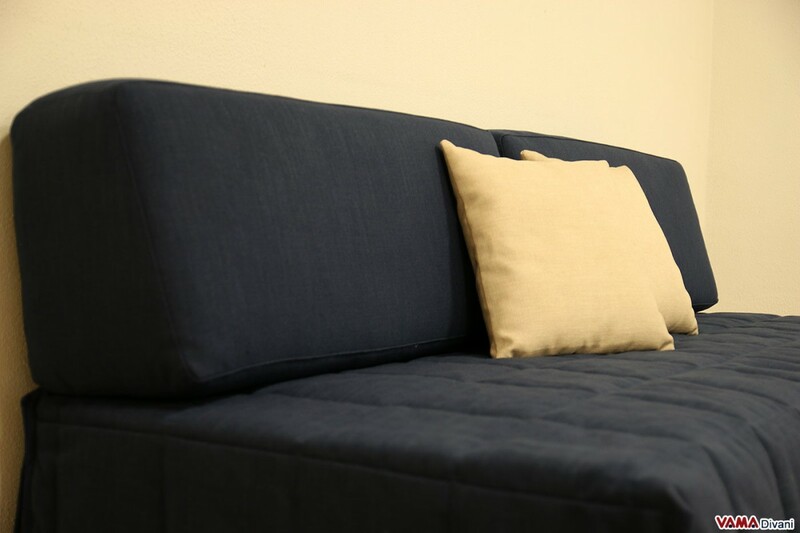 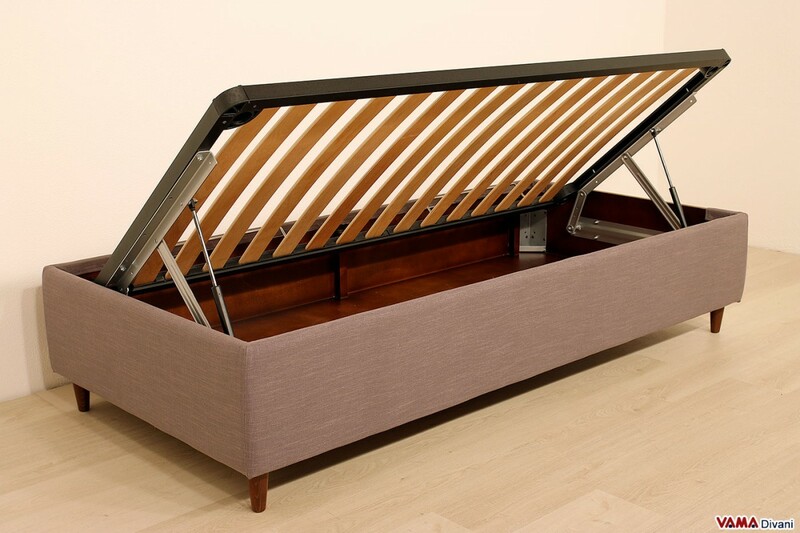 Pillows, blankets, pillowcases, shoes, clothing... objects of all kinds can be placed inside the storage box of the Sommier bed, and the space saving is truly remarkable, as well as very valuable for smaller flats or houses. 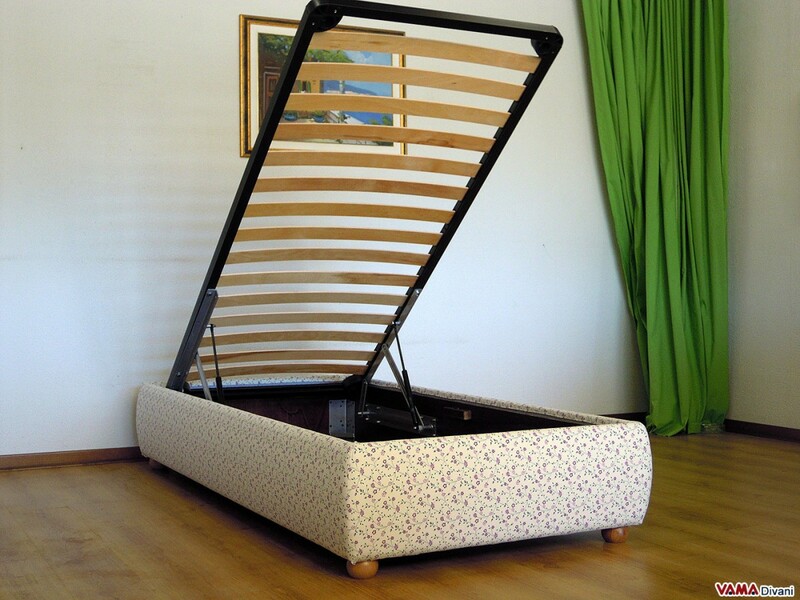 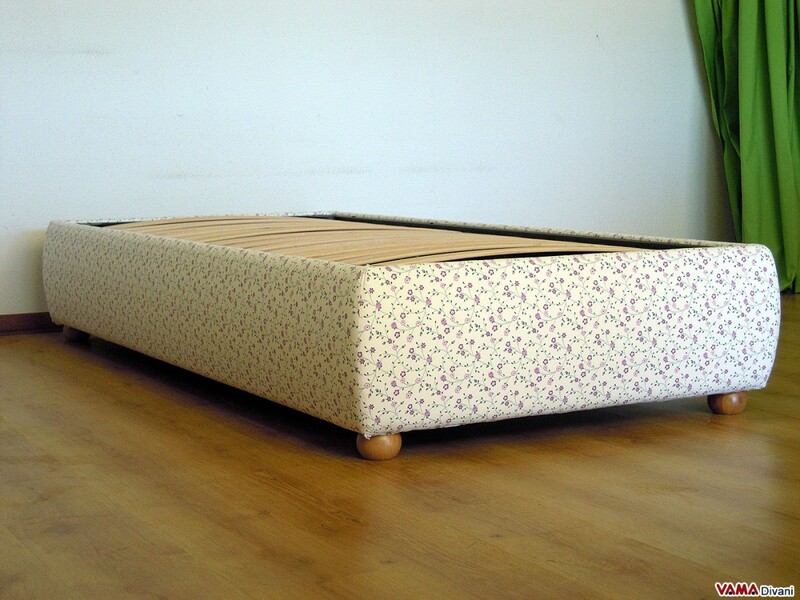 This model can be customised by VAMA Divani in many different ways according to your requirements: you can choose the colour, the type of foot (for example, wheels are very comfortable), the size and the bed can be even realised without the storage box. 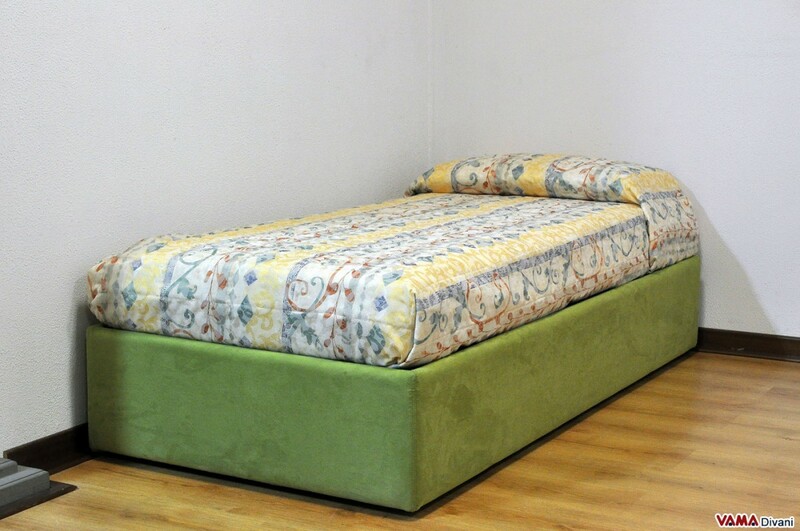 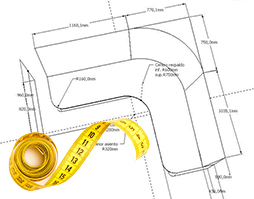 Do you need a special quilt, or simply a mattress to be placed on your Sommier bed? 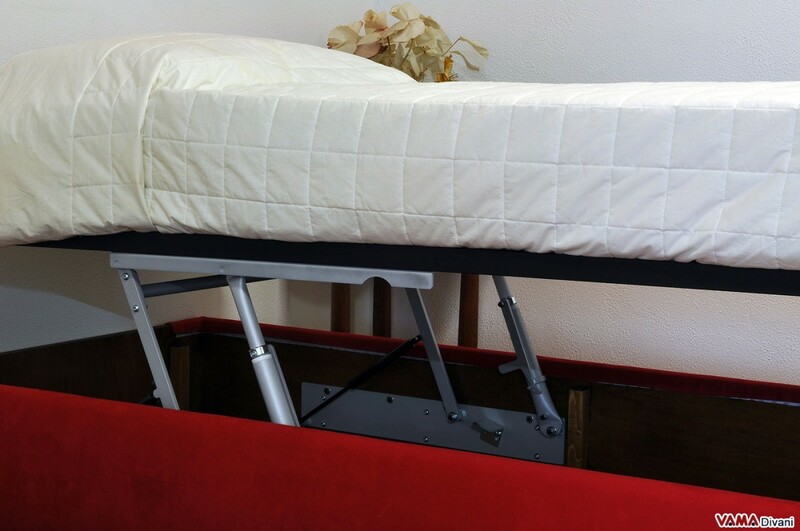 There is not trouble. 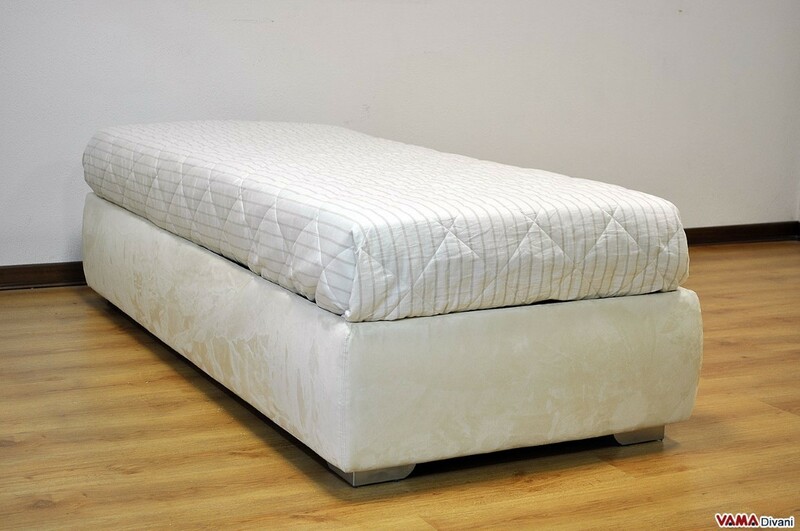 VAMA Divani can realise custom quilts to specifically meet your needs and tastes, and in this e-commerce store you can choose among many different types of single mattress, so that you will receive a completely full bed.